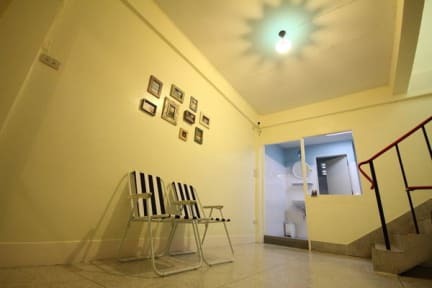 Chan Cha La 99 Hostel is conveniently in Bangkok, where is located at Sukhumvit Soi 99 on Sukhumvit road. Just 1 min (50 m) from Bang Chak BTS Station, exit no.3, Yellow Building. There are local market, coffee shop, convenient store, spa and message, car rental, banks near us. Then it will fullfill your wonderful holiday with us. Free Wi-Fi, Free Linen, Free storage luggage. Annie is the best hostess EVER! she truly goes out of her way to make sure you have a great trip in Bangkok. The atmosphere is like you’re at your home away from home, it is so comfortable. The beds are comfortable, the place is ALWAYS sparkling clean, and Annie is happy to answer any questions and help in any way she can. I will be staying with her again before I go home because she is an amazing person and has th best hostel in the whole world! This hostel is the best! Annie is the perfect host. We read reviews that said how amazing she is and thought 'oh she must be nice', but amazing is a complete understatement. Annie goes out of her way to help you in any way and even gives you tips about your next destination, expected prices for taxis and tuk-tuks etc. 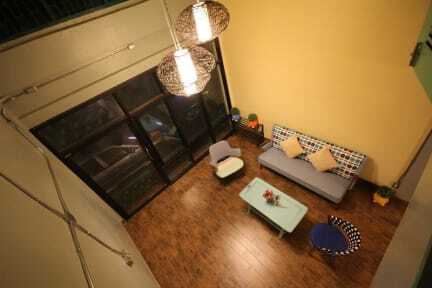 The hostel is really clean, with a nice area to sit and chill downstairs. Couldn't recommend this place highly enough. Do yourself a favour and stay here!!! Thank you Annie!! Annie was incredibly kind an helpful. The entire hostel is set up so that life is so easy to manage -all the directions and locations to attractions around the city are easy to follow and understand - there are adorable maps and signs everywhere! She has poured her heart and soul into this place and it feels more like home than a hostel. Can’t thank her or recommend this place enough to those traveling through Bangkok !! Annie was such a lovely host! Everything was just spot on. Definitely coming again! Annie is such a great hostess and so kind. She must be the kindest Thai person I met during my stay here. She really goes out of her way to make you feel welcome and comfortable. The place is a great deal, clean, and just off the train stop. I wish her much success! Had a lovely stay with Annie, the only reason for the lower score is that you’re a bit further out and the local area has limited facilities. Clean rooms, amazing staff that are always happy to answer questions and quiet. Very pleasant stay here, a bit far from everything if your staying to sight see and party, but if your trying to stay away from all that chaos, this is the spot. Annie was very sweet and accommodating, clean place with basic amenities..